The Solomon R. Guggenheim Museum in New York City partnered with the Frank Lloyd Wright Foundation to present Frank Lloyd Wright: From Within Outward. On view from May 15 through August 23, 2009, the exhibition features more than 200 original Frank Lloyd Wright drawings, many of which have never before been exhibited, as well as photographs, models, and digital animations for 64 Frank Lloyd Wright projects, including designs that were never constructed. 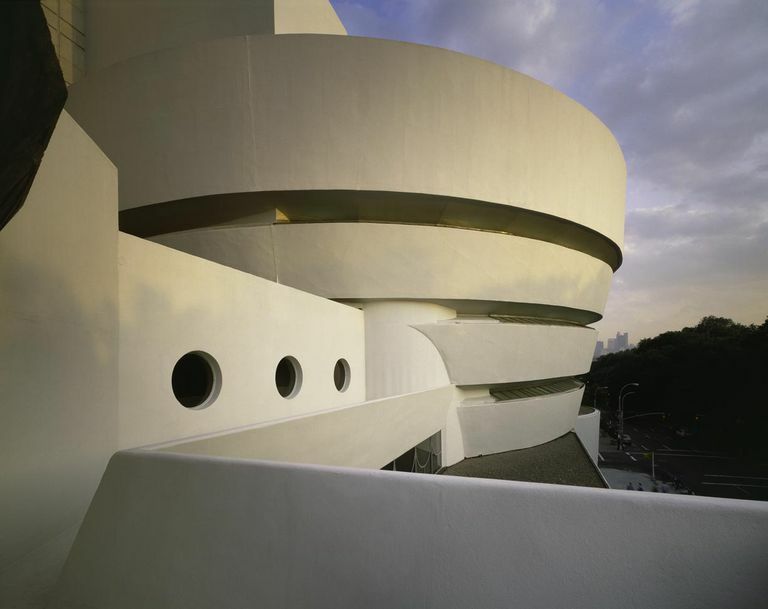 Frank Lloyd Wright: From Within Outward commemorates the fiftieth anniversary of the Guggenheim Museum that Wright designed. The Guggenheim opened on October 21, 1959, six months after Frank Lloyd Wright died. Frank Lloyd Wright spent fifteen years designing the Solomon R. Guggenheim Museum. 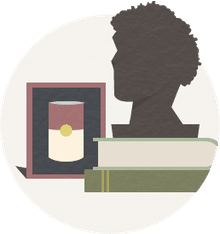 He died 6 months after the Museum opened. Frank Lloyd Wright® and Taliesin® are registered trademarks of the Frank Lloyd Wright Foundation. In Frank Lloyd Wright's earliest drawings of the Guggenheim, the exterior walls were red or orange marble with verdigris copper banding on the top and bottom. When the museum was built, the color was a more subtle brownish yellow. Over the years, the walls were repainted an almost white shade of gray. During recent restorations, preservationists have asked which colors would be most appropriate. Up to eleven layers of paint were stripped, and scientists used electron microscopes and infrared spectroscopes to analyze each layer. Eventually, the New York City Landmarks Preservation Commission decided to keep the museum white. Critics complained that Frank Lloyd Wright would have chosen bolder hues. Drawings and architectural renderings by Frank Lloyd Wright reveal his pioneering concepts of space. This drawing, made with graphite pencil and colored pencil, illustrates Frank Lloyd Wright's plan for spiraling ramps inside the Solomon R. Guggenheim Museum. Wright wanted visitors to discover artwork gradually as they slowly moved up the ramps. Through his sketches and drawings, Frank Lloyd Wright illustrated how the new Guggenheim Museum in New York would transform the way visitors experienced art. Designed at the same time as the Guggenheim Museum, the curving Marin County Civic buildings echo the surrounding landscape. The Marin County Civic Center in San Rafael, California, was the last commission for Frank Lloyd Wright, and it was not completed until after his death. "We will never have a culture of our own until we have an architecture of our own. An architecture of our own does not mean something that is ours by the way of our own tastes. It is something that we have knowledge concerning. We will have it only when we know what constitutes a good building and when we know that the good building is not one that hurts the landscape, but is one that makes the landscape more beautiful than it was before that building was built. In Marin County you have one of the most beautiful landscapes I have seen, and I am proud to make the buildings of this County characteristic of the beauty of the County. Here is a crucial opportunity to open the eyes not of Marin County alone, but of the entire country, to what officials gathering together might themselves do to broaden and beautify human lives." Frank Lloyd Wright's original plans for the Marin County Civic Center included an open air pavilion for special events. Wright's vision was never realized, but in 2005 the Marin Center Renaissance Partnership (MCRP) published a master plan for Marin County that provided for constructing the pavilion. In 1924, wealthy businessman Gordon Strong met with Frank Lloyd Wright to propose an ambitious scheme: On the top of Sugar Loaf Mountain in Maryland, build a scenic overlook that would "serve as an objective for short motor trips," especially from nearby Washington DC and Baltimore. Gordon Strong wanted the building to be an impressive monument that would enhance visitors' enjoyment of the natural landscape. He even suggested that Wright place a dance hall at the center of the structure. Frank Lloyd Wright began to sketch a spiralling roadway that mimicked the shape of the mountain. Instead of a dance hall, he placed a theater at the center. As plans progressed, the Automobile Objective turned into a great dome with a planetarium, surrounded by a ring-shaped natural history museum. Gordon Strong rejected Frank Lloyd Wright's plans and the Automobile Objective was never built. However, Frank Lloyd Wright continued to work with hemicycle forms, which inspired the design of the Guggenheim Museum and other projects. Although wealthy businessman Gordon Strong eventually rejected Frank Lloyd Wright's plans for his Automobile Objective, the project inspired Wright to explore complex circular forms. The structure was intended to serve as a tourist destination on the peak of Sugarloaf Mountain in Maryland. Wright envisioned a spiralling road that formed the shell of a dome-shaped building. In this version of the project, the dome housed a planetarium surrounded by exhibit space for natural history displays. Frank Lloyd Wright designed two homes for Herbert and Katherine Jacobs. The the First Jacobs House was built in 1936-1937 and introduced Wright's concept of Usonian architecture. The brick and wood construction and glass curtain walls suggested simplicity and harmony with nature. Frank Lloyd Wright's later Usonian houses became more complex, but the First Jacobs House is considered Wright's most pure example of Usonian ideas. The first of two houses that Frank Lloyd Wright designed for Herbert and Katherine Jacobs has an open, L-shaped floor plan with connecting living and dining areas. Wright designed and built the First Jacobs house in 1936-1937, but he designed the dining room tables much earlier, in about 1920. The long oak dining table and the built-in bench were especially designed for this house. The First Jacobs house was Frank Lloyd Wright's first, and possibly most pure, example of Usonian architecture. Built in the early 1900s, the Larkin Administration Building in Buffalo, New York was one of the few large public buildings designed by Frank Lloyd Wright. The Larkin Building was modern for its time with conveniences like air conditioning. Tragically, the Larkin Company struggled financially and the building fell into disrepair. For awhile the office building was used as a store for Larkin products. Then, in 1950 when Frank Lloyd Wright was 83, the Larkin Building was demolished. When Frank Lloyd Wright designed the Larkin Company Administration Building, his contemporaries in Europe were laying the foundation for the Bauhaus movement with stark, boxlike buildings. Wright took a different approach, opening up corners and using walls merely as screens to enclose interior spaces. Frank Lloyd Wright's utopian vision for urban living was never realized. This rendering of Mile High Illinois was designed by a team of students from the Harvard University Graduate School of Design Interactive Spaces course taught by Allen Sayegh. In this view, an open terrace overlooks Lake Michigan.